We can’t say we’ve ever been particularly impressed by the video quality delivered by the Tachyon line of helmet cameras, but they’re a good choice for those who need a recorder that can take one heck of a beating — if you don’t mind some extra bulk. That fat has been banished in the new, slimmer OPS line which will be available in two flavors: a $90 VGA base unit and a slightly higher-end HD (720p) one for $140. If you’re keeping track that’s the same as the earlier XC and XC HD models, but these aren’t waterproof like those. The SD model is less than an inch wide and 2.252-inches long, while the HD model looks to be roughly $.25 longer. Each camera is square in profile, meaning it can be rotated in four orientations on its mount, or flipped around backward. And yes, just like the XC cameras, Tahyon will be releasing a range of mounts for all your extreme endeavors, including shotguns, picatinny rails, and one that looks like an overgrown tie clip. It should be perfect for when things get fancy down at the range. 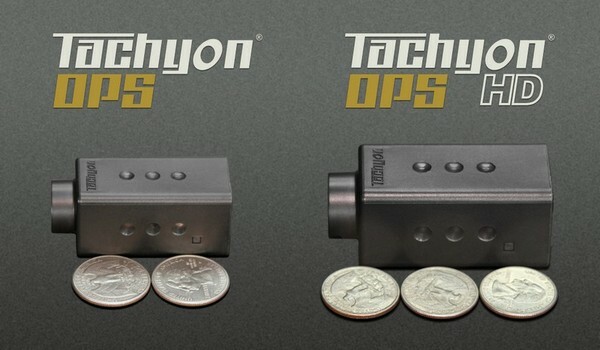 Tachyon launches OPS and OPS HD helmet cameras, not as durable but way more tiny originally appeared on Engadget on Sat, 07 May 2011 17:06:00 EDT. Please see our terms for use of feeds. You aren’t looking at a retro microSD card reader, you’re looking at an Atari-compatible serial disk drive that just happens to use microSD in lieu of 5.25-inch floppies. In a Zork inspired fit of nostalgia (we’ve all been there), hardware modder Rossum paired up an Atari connector with a LPC1114 microcontroller, capable of emulating up to eight Atari drives, managed by a custom, auto-booting app. The whole package is neatly packed in to a tiny 3D printed replica of the original Atari 810 disk drive, and is available for sale never — but don’t let that stop you: Rossum’s schematics are free for the taking. The word’s biggest little Atari drive is just a DIY away. 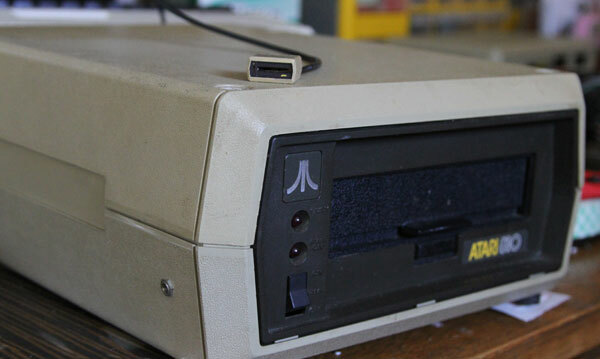 Modder miniaturizes 5.25-inch disk drive, brings microSD support to Atari 400 originally appeared on Engadget on Sat, 07 May 2011 16:01:00 EDT. Please see our terms for use of feeds. Screen Grabs chronicles the uses (and misuses) of real-world gadgets in today’s movies and TV. Send in your sightings (with screen grab!) to screengrabs at engadget dot com. We liked the Kyocera Echo quite a bit, but perhaps the dual-screen tabletphone concept is a mite ahead of its time — here it is fifteen years from now, helping the Fringe team pull up security blueprints for an opera house. Or perhaps Astrid has become a vintage technology connoisseur? We have to admit it’s a step up from the Streak seismograph, but we can’t help but frown — we wouldn’t be caught dead running Froyo in the year 2026, after all. 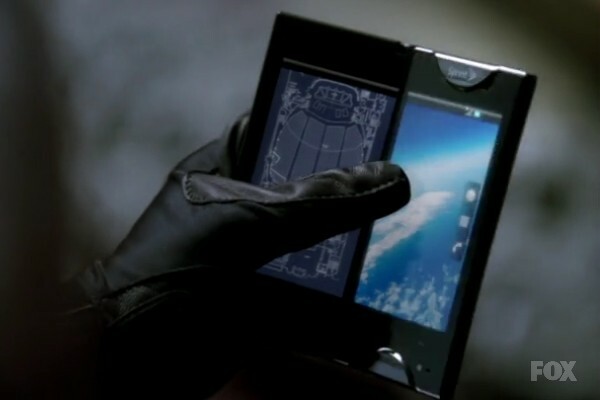 Screen Grabs: Kyocera Echo goes back to the alternate-reality future in Fringe originally appeared on Engadget on Sat, 07 May 2011 15:02:00 EDT. Please see our terms for use of feeds. This entry was posted on May 7, 2011, 5:43 pm and is filed under Mobility. You can follow any responses to this entry through RSS 2.0. Both comments and pings are currently closed.